Good is Jehovah to the one hoping in him, to the soul that keeps seeking for him. Good it is that one should wait, even silently, for the salvation of Jehovah. But these trying conditions, which involve and affect everyone of us in one way or another, were foretold in God’s Word the Bible for our encouragement, to “guard you from stumbling.” (Jude 3-4, 24) Foolishly, we never considered these numerous prophecies to be applying to us! When Jehovah denounces the wicked "among my people," and pronounces doom for "my valueless shepherd[s]," we have always been quick to point at the churches of Christendom and its clergy, while congratulating ourselves for not having "shared with her in her sins." (2 Cor. 6:14-18; Rev. 18:4) Our leaders were promising peace, and told us that we are dwelling in security, in a “spiritual paradise,” when the opposite has been the reality for countless sufferers. (Jer. 6:13-15) And too many of our elders have not proved to be a “hiding place from the wind and a place of concealment from the rainstorm.” In fact, often they are the very ones responsible for scattering the sheep by dealing harshly with what is "God's inheritance." What is the situation in your own congregation? —Isa. 32:1,2; Jer. 5:26, 30-31; 23:1,2; 50:6; Ezek. 13:10, 16; 34:10; Zech. 10:3; 11:15-17; 1 Peter 5:3. Jesus foretold, regarding the time of the end, that “because of the increasing of lawlessness the love of the greater number will cool off. But he that has endured to the end is the one that will be saved.” (Matt. 10:22; 24:13) He was pointing to conditions that would become evident within God's household. The righteous among them needed to endure hardship and not be stumbled, until such time arrived for God to remove from their midst the wicked. He promised: "That is how it will be in the conclusion of the system of things: the angels will go out and separate [from his kingdom] the wicked from among the righteous." —Matt. 13:41, 49,50; 24:12,13, 25; John 16:1; Gal. 5:14,15; James 4:1-3. It is definitely a challenge under present conditions to suffer and yet keep our spiritual balance. Sadly, many have given up and left, no longer believing that God has a people for his name, because of the presence of so much pain and distress on account of the foretold man of lawlessness. (Mal. 3:16-18; Acts 15:14) And as if that were not bad enough, in some congregations brothers are actually expelled simply for voicing their concerns, complaints, or doubts; having lost faith in the body of governors that has been controlling the organization throughout these many years. A great number of disillusioned former Witnesses are now expressing their anguish and frustration on the internet, in particular on the various forums that have sprung up on account of all this. Perhaps you have wondered, even asked in prayer: If we are God's people, why has Jehovah tolerated wicked persons and valueless shepherds within his household at the expense of the righteous? Habakkuk noted that "the wicked one is surrounding the righteous one." (Ezek. 13:22; Amos 5:12,13; Hab. 1:2-4, 13) The prophet Jeremiah too expressed the same concern. He experienced first hand the very worst of all the wicked things that God's people were guilty of, for Jehovah had chosen him to expose their rebelliousness and deliver his message of the calamity that was sure to come upon them. Although God had been patient with his people, obedience to him now became an issue, a matter of life or death. But neither Jeremiah nor his message were kindly received by the majority, not even by his own relatives. For our own benefit, let us briefly consider Jeremiah's question and Jehovah's answer, as recorded at Jeremiah 12:1-6, according to the New Living Translation. We will see that not much has changed. 1 Lord, you always give me justice when I bring a case before you. So let me bring you this complaint: Why are the wicked so prosperous? Why are evil people so happy? One reason why the people refused to listen to Jehovah, by the message Jeremiah proclaimed to them, was due to their prosperity. They were doing well and were happy, as they told Jeremiah: “We will not listen to your messages from the Lord! We will do whatever we want. We will burn incense and pour out liquid offerings to the Queen of Heaven just as much as we like—just as we, and our ancestors, and our kings and officials have always done in the towns of Judah and in the streets of Jerusalem. For in those days we had plenty to eat, and we were well off and had no troubles!" —Jeremiah 44:16,17. It is not at all uncommon for "ungodly men" to turn "the undeserved kindness of our God (his patience and mercy) into an excuse for loose conduct." (Jude 4; Rom. 2:4,5; 2 Peter 3:9) It is as the scripture says: "When a crime is not punished quickly, people feel it is safe to do wrong." (Eccl. 8:11, NLT) That was true in Jeremiah's time and it is no different today! 2 You have planted them, and they have taken root and prospered. Jeremiah is disturbed by the fact that these wicked ones are firmly established among God's people, as if they had been planted by God himself; for how else could they be carefree and prospering. But it wasn't Jehovah who had put them there, as Jesus later illustrated in his parable of the fine seed and the sower of the weeds. As he pointed out in that parable, the wicked, or weeds, had been sown by the Devil, and they were allowed to take root in among the righteous right within God's kingdom. God would tolerate the wicked until the time of the harvest, which Jesus said would be "the conclusion of the system of things," when the weeds could be clearly identified. At that time they will be uprooted, for "the angels will go out and separate the wicked from among the righteous and will cast them into the fiery furnace." —Matthew 13:24-30, 36-43, 49,50. Your name is on their lips, but you are far from their hearts. Just by observing Jehovah's worshipers one cannot tell the righteous apart from the wicked, unless it has become obvious to everyone. Today within the congregations the wicked ones certainly give the appearance of worshiping Jehovah. They sing praises to God's name and are busy teaching God's requirements to others. (Rom. 2:21-24) Yet, their worship becomes unacceptable to God, and thus in vain, when they seek to establish their own righteousness by substituting God's word with their own traditions. Jesus denounced the seeming religious people of his day for being guilty of that very thing: "You have made the word of God invalid because of your tradition. You hypocrites, Isaiah aptly prophesied about you, when he said, ‘This people honors me with their lips, yet their heart is far removed from me. It is in vain that they keep worshiping me, because they teach commands of men as doctrines.’” —Matthew 15:8,9; Rom. 10:2,3. 16 But God says to the wicked: “Why bother reciting my decrees and pretending to obey my covenant? 17 For you refuse my discipline and treat my words like trash. 18 When you see thieves, you approve of them, and you spend your time with adulterers. 19 Your mouth is filled with wickedness, and your tongue is full of lies. 20 You sit around and slander your brother—your own mother’s son. 22 Repent, all of you who forget me, or I will tear you apart, and no one will help you. 3 But as for me, Lord, you know my heart. You see me and test my thoughts. Jehovah is very much interested in everyone "whose heart is complete toward him," and he blesses them. (2 Chron. 16:9) He "makes proof of our hearts." (1 Thess. 2:4) Why does he do that? He gets us to exhibit what we are truly like deep down inside, "the secret person of the heart" that we often don't realize we are; in order to bring to our attention wrong desires and attitudes where we need to make adjustments. It's like standing us in front of a mirror and telling us to take a good look at ourselves. If we see any blemishes, or things out of place, we should then make the necessary corrections. —James 1:22-26; 1 Peter 3:4. How does Jehovah make prove of our hearts? One way is by exposing us to certain situations and circumstances, and then how we respond reveals much about what sort of person we really are. For example, by tolerating the wicked ones to prosper right alongside the righteous within God's house, it becomes evident whether we share God's view on matters: will we imitate the ways of the wicked, seeing their peace and prosperity, perhaps reasoning that it does not matter to God what we do; or do we "abhor what is wicked, and cling to what is good," even "sighing and groaning" over the terrible things being done in God's name? Or do we become complainers? —Ps. 73:1-13; Ezek. 9:4; Rom. 12:9; Jude 16. Also, we get to demonstrate our faith in Jehovah in a positive way (rather than just professing to have faith), because, although he allows the wicked to prosper for a time, we firmly believe that he will carry out his promises of removing them and blessing the righteous. (Psalms 37:9-11; James 2:14-20) Jeremiah had such faith, for he continued to prophesy among the rebellious people for more than 40 years, under much opposition and distress to himself. Drag these people away like sheep to be butchered! Set them aside to be slaughtered! Jeremiah was upset! He became impatient because of his suffering. He even spoke of giving up! Why was Jehovah so patient? He wanted God to act, in harmony with the message he was preaching. He was in constant danger of those who opposed his prophesying, although the message was not his but God's. He longed for the time when the wicked would be no more. He yearned for peace. (Jer. 11:21-23; 20:7-12) Most of us probably feel the same today. For our encouragement we have Jeremiah as an example to consider, and we can be sure that all that Jehovah has prophesied will come true, just as in Jeremiah's time. Soon the wicked will be removed, and the righteous who trusted in Jehovah will be blessed. 4 How long must this land mourn? Even the grass in the fields has withered. The wild animals and birds have disappeared because of the evil in the land. Are you yearning for relief from present problems? Jeremiah did! It would make it easier for us if we knew just how much longer we must endure. But the only thing Jehovah is willing to reveal to us is his determination to do what he has promised: "I am keeping awake concerning my word in order to carry it out." (Jer. 1:12) The condition within God's house has become so bad that many of God's sheep are starving spiritually, for "the grass in the fields has withered." In addressing the plight of starvation, although there ought to be plenty of green grass for his sheep, Jehovah puts the blame squarely on the shepherds, accusing them: "Is it not enough for you to eat grass in the good land? Must you crush the rest of the grass with your feet? Is it not enough for you to drink clear water? Must you make the rest of the water muddy with your feet? Must my flock eat what you crush, and must they drink what you make muddy with your feet?" —Ezekiel 34:18,19; NCV. In what way do the shepherds "eat grass in the good land" while stomping down "the rest of the grass with their feet," leaving only withered grass (because of having been crushed) for the sheep to feed on? By teaching (feeding) that all the good things contained in the Scriptures (the green grass), such as a personal relationship with God as his sons; the new covenant; Christ's mediatorship; reconciliation with God; being declared righteous for life; etc., applies solely to the anointed shepherds, even going so far as to teach that the Bible was written solely for them. God's hungry sheep are offered only the withered grass when they are taught that the Bible applies to them only by extension and in connection with their association with the lofty shepherds; such as when they are told that "the 'other sheep' cherish their privilege of being associated with the 'temple' class." (w06 11/1 pp. 23-24 Do You Share Jehovah’s View of Sacred Things?) Because of the spiritual famine the flock has been devastated, so that even "the wild animals and birds" have disappeared. —see Exodus 23:11; Ezek. 34:10-16; Amos 8:11; John 6:35. The wicked within God's house are at peace. Because of their prosperity and success they have no dread of God's coming judgment. They actually prefer things to continue the way they are. The Psalmist asked: "Why, O Jehovah, do you keep standing afar off? Why do you keep yourself hid in times of distress? In his haughtiness the wicked one hotly pursues the afflicted one; They get caught by the ideas that they have thought up. For the wicked has praised himself over the selfish longing of his soul, And the one making undue profit has blessed himself. . . He has said in his heart: 'God has forgotten. He has concealed his face. He will certainly never see [it].' Do arise, O Jehovah. O God, lift up your hand. Do not forget the afflicted ones. Why is it that the wicked one has disrespected God? He has said in his heart: 'You will not require an accounting.'" —Psalms 10:1-3, 11-13; compare Mal. 3:14,15.
Who are the ones in our midst that are at ease while disrespecting God? It is all those who put their faith in the man of lawlessness, and have turned their backs to the truth. "So that is why God lets an operation of error go to them, that they may get to believing the lie, in order that they all may be judged because they did not believe the truth but took pleasure in unrighteousness." (2 Thess. 2:11,12) By having come to believe "the inspired expression of error," as taught to them by the man of lawlessness, they show that they do not really concern themselves with what is truth and from God. (1 John 4:1, 6) They feel no dread of any coming judgment upon them. But Jehovah is now revealing such ones for what they really are. The prophet Zephaniah foretold that God would inspect his people, just prior to the coming of "the great day of Jehovah." He said: “I will search with lanterns in Jerusalem’s darkest corners to punish those who sit complacent in their sins. They think the Lord will do nothing to them, either good or bad." —Zephaniah 1:12; NLT. Do you see such attitude in your own congregation? Do many feel that as long as they attend the meetings; report a number of hours spent in the preaching work every month; perhaps conduct Bible studies; and of course, never ever doubt anything that they are taught in their publications; that they have nothing to fear, no matter what they are according to "the secret person of the heart"? Do they care at all whether or not their teaching and traditions conflict with God's Word of truth? —Hebrews 4:13; John 17:17; Romans 3:4. Jeremiah was blessed for faithfully enduring the persecution and suffering that he received at the hands of the people on account of his message, and his life was spared. All those who had opposed him came to regret having said that "the Lord doesn't see what's ahead for us." Although it had been clearly declared to them, they refused to believe it, until Jehovah finally brought the foretold calamity upon them. (Jer. 39:11,12, 15-18) Clearly, obedience had become the decisive issue for every individual. 5 “If racing against mere men makes you tired, how will you race against horses? Jeremiah expressed his dejection for the lack of response he was getting from the people, and the opposition he encountered. But Jehovah pointed out to him the need not to tire out or slow down. (Gal. 6:9) If he became disheartened by the resistance and hostility he met from the common people, such as his neighbors, how would he fare when he confronted the kings, the princes, the priests, in fact all the powerful and influential people of the land, including the king's mighty men, who were sure to fight against him. Jehovah had assured him that "they will not prevail against you, for 'I am with you,' is the utterance of Jehovah, 'to deliver you.'" (Jer. 1:18,19; 26:21) Jeremiah needed to examine his attitude, to continue with his assignment and not tire out. If you stumble and fall on open ground, what will you do in the thickets near the Jordan? Again, Jehovah emphasized to Jeremiah the importance of not allowing himself to get easily discouraged and stumble, when the situation was not yet as bad as it was going to get. The opposition to his preaching was going to intensify. If he was going to stumble when things were still relatively easy, how could he endure when the situation was going to become almost unbearable? —Jer. 37:13-16; 38:4,6. Perhaps we too need to adjust our attitude. It is true that we are living in critical times hard to deal with, and yet, things are still manageable for most of us. Many are still able to attend meetings, although having to guard what they say because of not wanting to be accused of apostasy. Many are still able to associate with their brothers and sisters, even receiving encouragement from some. Also, it is still possible to share the Good News with interested ones, directing them to God's kingdom. When we really think about it, our situation could be much worse. And it will most likely get much worse in the days to come! If we are easily discouraged now, prone to stumble and fall "on open ground," so-to-speak, what will we do when conditions will become so restrictive, and so oppressive, that our very lives will seem to hang in the balance? 6 Even your brothers, members of your own family, have turned against you. They plot and raise complaints against you. Do not trust them, no matter how pleasantly they speak. We all need encouragement! Can we expect to receive such from our own family members and close relatives at this time? Perhaps! Many among God's servants today, who have been "sighing and groaning" over present developments, and have come to understand the scriptural reasons behind them, have in their enthusiasm shared the things learned with others, including members of their family, especially their wives; thinking that they too would be equally enthused. But Jehovah has a word of caution: Be careful! Don't trust even your closest companion, for they are likely to turn against you. "Do not put your trust in a confidential friend. From her who is lying in your bosom guard the opening of your mouth." —Mic. 7:5,6. If others in your congregation, including your own family members, perceive you to speak against the Governing Body, whom they accept as being appointed by Christ over all his belongings; and you seem to question the validity of their authority or any of their teachings, Watch Out! Although they may speak "pleasantly" to you for the moment, "do not trust them" for they will "plot and raise complaints against you" to the elders, and hand you over to be expelled. And they will do all this in the mistaken belief that they have "rendered a sacred service to God. But they will do these things because they have not come to know either [Jehovah] or [Jesus]." (John 16:1-4) I know of such cases personally. Thus Jesus' warning: "Therefore prove yourselves cautious as serpents and yet innocent as doves." —Psalms 50:20, 21; Jer. 9:4-6; Matt. 10:16, 35,36; Luke 12:51-53. Jehovah does not compel us to bring this sort of persecution upon ourselves. He has not appointed us to be "a metal tester" among his people, as he did Jeremiah. Jehovah himself examines the way of his people, and he is the one doing the exposing, or revealing, in whatever way he chooses. (Jer. 6:27) The prophet Amos speaks of the time when the wicked among God's people would show "hostility toward someone righteous," and therefore he advises that "the very one having insight will in that time keep silent, for it will be a calamitous time." (Amos 5:13) It is the time for us to demonstrate our complete reliance and trust in Jehovah. For that reason Jeremiah encourages us: "Good is Jehovah to the one hoping in him, to the soul that keeps seeking for him. Good it is that one should wait, even silently, for the salvation of Jehovah." (Lam. 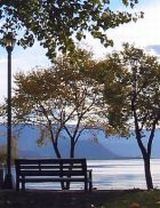 3:25,26) Waiting, even silently, for the salvation of Jehovah entails endurance. And endurance involves obedience. If you find yourself expelled from your congregation on the bogus charge of apostasy, because of your loyalty to Jehovah, as has already been the case with many of our brothers and sisters, do not despair. Jehovah has promised that he will not leave his loyal ones. (Psalms 18:25; 37:28) He will support you and strengthen you, helping you to endure as long as you continue to be obedient to him. "But listen to what God has to say to you who reverently respond to his Word: 'Your own families hate you and turn you out because of me. They taunt you, 'Let us see God's glory! If God's so great, why aren't you happy?' But they're the ones who are going to end up shamed." (Isa. 66:5, The Message) You can be sure that "none that rests his faith on [God] will be disappointed." —Romans 10:11. Sadly, many have become impatient with Jehovah and have removed themselves from his congregation. They have observed the ease of the wicked within God's house, while they themselves have suffered, and have concluded that God does not have a household; contrary to the many scriptures proving otherwise. Some now ridicule others who are likewise suffering but are continuing to wait patiently on Jehovah. Jehovah is making apparent the distinction between someone righteous and one who is wicked, "at the day when [he is] producing a special property." It is just as he foretold: "And you people will again certainly see [the distinction] between a righteous one and a wicked one, between one serving God and one who has not served him." (Mal. 3:17,18; Dan. 12:3, 10; Matt. 13:43) We are serving God by remaining steadfast in his temple, listening to him and obeying him. —Revelation 7:15-17. "Obedience is Far Better Than Sacrifice"
"What is more pleasing to the LORD: your burnt offerings and sacrifices or your obedience to his voice? Obedience is far better than sacrifice. Listening to him is much better than offering the fat of rams. Rebellion is as bad as the sin of witchcraft, and stubbornness is as bad as worshiping idols." Although we are living in critical times hard to deal with, it is not impossible to remain steadfast and loyal under present conditions. Our heavenly Father has made it as easy as possible for us to help us endure, keeping matters simple and uncomplicated. He is not unreasonable in anything that he asks of us: "The LORD God has told us what is right and what he demands: 'See that justice is done, let mercy be your first concern, and humbly obey your God.'" —Micah 6:8, CEV. To "humbly obey your God," and be "obedient from the heart," is not complicated. We are all capable of that! (Rom. 6:17) It does not require special insight or unusual mightiness. And although we like to know what the future holds we do not need to know or understand all the details of prophecies that are yet to be fulfilled, and that we can do nothing about at this time. Paying undue attention to often strange and diverse private interpretations might get us sidetracked from the simple truth, and we might end up arguing “about words, a thing of no usefulness at all” in helping us endure. (2 Tim. 2:14,15; 2 Peter 1:20,21) We do not want to deviate from the real issue, which is and always has been obedience to God. “You know God's laws, and it isn't impossible to obey them. 12 His commands aren't in heaven, so you can't excuse yourselves by saying, "How can we obey the LORD's commands? They are in heaven, and no one can go up to get them, then bring them down and explain them to us." 13 And you can't say, "How can we obey the LORD's commands? They are across the sea, and someone must go across, then bring them back and explain them to us." 14 No, these commands are nearby and you know them by heart. All you have to do is obey!” —Deut. 30:11-14, Contemporary English Version. As Moses explains in the words above, to know what God requires of us and to obey him isn't impossible; but it involves the heart. Jehovah has plainly recorded his requirements for us in his inspired Word, the Bible, and don't we all have our own copy! Therefore they are “nearby” and we already “know them by heart.” Have you read your Bible from cover to cover? Are God's words in your heart, firmly implanted? (Josh. 1:8; Psalms 1:1,2) We don’t need anyone to explain these basic essentials, as if they are deep or hidden. (Luke 10:21; 1 Cor. 2:10; Heb. 5:12) What we do need is the desire to obey, even when it means to suffer unjustly, as was true in Jesus' own case. No one else can do that for us! Obedience is something we can learn. —1 Cor. 10:5; Gal. 5:7; Heb. 5:8,9. Obedience has been the primary issue since Adam’s time. (Rom. 5:19) Yet, there are those who like to point out that what matters most to God is that we love him, which Jesus said was the greatest commandment. And they are quick to include that God knows they love him. (Matt. 22:35-38) But what does it mean to love God? The apostle John gives this simple answer: “For this is what the love of God means, that we observe his commandments; and yet his commandments are not burdensome, because everything that has been born from God conquers the world. And this is the conquest that has conquered the world, our faith.” (1 John 5:3,4) If we love God, then we obey him. That is basic! Every parent understands that! Note too that John connects not only love, but also faith, with obedience; for it takes faith to obey, especially when we don't understand certain requirements, or we fail to see eye to eye with God on some issues. —Ezek. 33:17; Isa. 55:8,9. To help us keep our focus on the primary issue of obedience, please consider the example of the Jews in the First Century, and then ask yourself: was it love for God, or obedience, that became the deciding factor between life and death? Paul did not question the love for God of his fellow Jews. He acknowledged that they had "a zeal for God." (Rom. 10:1-3) In the spring of 70 C.E. the Jews flocked into Jerusalem for their annual religious festival. (John 5:1; 7:2, 8-11) Many of the people travelled a great distance by foot, cart, donkey, or camel (no bicycles, cars, planes, trains or buses in those days; Gen. 22:3; 24:61-64; Ex. 4:20; John 12:14,15). Most likely entire families and neighbors journeyed together, no doubt looking forward to the excitement of associating with fellow worshipers, and meeting with friends and relatives they hadn’t seen in a year (much like us when we attend conventions). Can you picture the crowd? the rich and poor; young and old; infants, children, boys and girls, young men and women, neighbors, parents, aunts and uncles, nieces and nephews, cousins, and old folks who perhaps viewed this as their last journey. Would you agree that probably most of them were the sort of people you might have enjoyed associating with, good people, sincere worshipers, lovers of God, attending his festivals, and offering their sacrifices? But then the unexpected happened! After having arrived in Jerusalem, and waking up in the morning, they discovered the Roman army had stealthily surrounded the city by night, with no way for any of them to sneak out and escape. They were trapped! Perhaps at first they were not too worried as a similar event had occurred about three years earlier when the Romans had come, surrounded the city and attacked, even as far as undermining their holy temple, but then suddenly withdrew in disgrace. Wasn't it their God who had driven the Roman army away on that occasion?! Would he not do so again!? We can well imagine how the priests were assuring the huge crowd of worshippers that they had nothing to fear, for God was on their side. Individually and in unison they all must have been offering their prayers to him, to deliver them also this time. But this time the Romans did not leave! And God did not listen to their prayers and come to their aid! They were now painfully reminded of the truthfulness of the words: "The LORD never even hears the prayers of the wicked, but he answers the prayers of all who obey him." —Proverbs 15:29; CEV. Whatever sort of persons all these trapped individuals had been up until now did not matter. Whether or not they had a love for God; or were zealous for his worship; or whatever they may have believed or argued over; whatever good neighbor they had been, and acts of charity they had performed; had now become irrelevant! Why? Because the only thing that mattered was obedience. And now it was too late! (Luke 21:20) If they had heeded the warnings spoken by Jesus, and proclaimed to them by his disciples over the years, they would not have been in Jerusalem! Their holy city was now utterly destroyed, and the vast majority of those in her perished. History tells us that at least 1,100,000 Jews lost their lives. Less than one in ten survived, just to be put to death later or taken into exile and slavery. Among them were the rich and poor; the priests; the influential; the young and old; infants; children; boys and girls; young men and women; parents; aunts and uncles; nieces, nephews and cousins; and the old folks. Jehovah did not come to their aid, nor did his eye feel sorry. —compare Ezekiel 9:5-10; 1 Sam. 15:2,3. Also consider this: What if a disciple of Christ happened to be found in the city on that particular day? Perhaps on business! What if it was a zealous evangelizer, such as Philip, or even one of the twelve apostles? Would God have intervened on their behalf and lead them to safety? Would he have made an exception in their case, not requiring obedience from them? Are any of us above the need to obey? Why did God allow so many sincere and zealous people to perish, including young innocent children? Jesus had foretold the destruction, did he not? And he had given them ample warning signs. The people should have taken the warnings to heart and acted on them. Their blood was upon their own heads. (Matt. 24:1-22; Ezek. 33:2-5) Parents were responsible for their children, not God. We should learn from this example! It is not about who we think we are, perhaps displaying a zeal for God, or claiming to love him. It is not about how much knowledge we possess. No! it is all about our obedience! Those who obeyed the warning were not caught within the city or the district of Judea. They had fled to the mountains and safety. Obedience to God has never been optional! "This takes into account that it is righteous on God’s part to repay tribulation to those who make tribulation for you, but, to you who suffer tribulation, relief along with us at the revelation of the Lord Jesus from heaven with his powerful angels in a flaming fire, as he brings vengeance upon those who do not know God and those who do not obey the good news about our Lord Jesus. These very ones will undergo the judicial punishment of everlasting destruction from before the Lord and from the glory of his strength, at the time he comes to be glorified in connection with his holy ones and to be regarded in that day with wonder in connection with all those who exercised faith, because the witness we gave met with faith among you." —2 Thessalonians 1:6-10. Nothing could be simpler to understand than for us to be obedient by holding on to our faith, and patiently wait on Jehovah to go about his business, doing just as he has told us he will do. Our suffering won't last forever. Peter writes: “My dear friends, you have been warned ahead of time! So don't let the errors of evil people lead you down the wrong path and make you lose your balance. Let the wonderful kindness and the understanding that come from our Lord and Savior Jesus Christ help you to keep on growing.” (2 Peter 3:17,18, CEV) Keep on growing! Don't stumble by losing your spiritual balance! Don't separate yourself from God's household! In the end your enduring obedience will have been worth all the suffering it included. Jehovah, our loving heavenly Father, is well aware of any tribulation we are experiencing at this time. Throughout the ages, his loyal worshipers have always been the subject of oppression and persecution. This should not surprise us when we realize that the persecution comes from Satan, who was also the source of Job's affliction. (Matt. 5:11,12; Rev. 12:12, 17) Jehovah wants us to endure, and he tells us that he himself is distressed at seeing our affliction. (Isa. 63:9; Zech. 2:8) Since endurance is tied in with obedience, Jehovah is not making it unnecessarily difficult for us by saddling us with a heavy load, as the religious leaders had done in Jesus' day. God is not hard to please! Jesus said that the "yoke is kindly and [the] load is light." (Matt. 11:28-30; 23:4) If anyone today is chafing under what they feel is a heavy load, they should realize that this is not from Jehovah, and that there is no special merit in carrying a greater burden than that what God himself requires of us. —1 John 5:3. The apostle Paul ties our need for endurance in with our faith: “For you have need of endurance, in order that, after you have done the will of God, you may receive the [fulfillment of the] promise. For yet ‘a very little while,’ and ‘he who is coming will arrive and will not delay.’ ‘But my righteous one will live by reason of faith,’ and, ‘if he shrinks back, my soul has no pleasure in him.’ Now we are not the sort that shrink back to destruction, but the sort that have faith to the preserving alive of the soul.” (Heb. 10:36-39; James 1:2-4; 5:10,11) In times of trouble strong faith helps us to lean on Jehovah, which enables us to be patient and endure. We cannot do this in our own strength. When the world demands that we conform to its ways, and requires our obedience on matters that go contrary to God's commands, we are not confused as to what we should do. We’d rather put up with persecution and suffering than to compromise. (Acts 4:19; 5:29) Our unshakeable faith in Jehovah and all his promises enables us to conquer the world just as Jesus did. (John 16:33; 1 John 5:4) But what do we do when the persecution comes from within, from among God’s own people; yes, from the very ones we have been taught to be submissive to as our teachers, and who demand our absolute obedience? (Matt. 7:15; Acts 20:29,30; 2 Cor. 11:12-15) We should not be surprised that this would actually become the reality within the congregations. The disciple Jude wrote his entire letter because of his great concern for the brothers, on account, as he says, "certain men have slipped in who have long ago been appointed by the Scriptures to this judgment, ungodly men, turning the undeserved kindness of our God into an excuse for loose conduct and proving false to our only Owner and Lord, Jesus Christ." —Jude 4. Could this be possible? Jude was not talking about a situation in the world in general, but about wicked shepherds who managed to slip in among God's own people. Paul also forewarned the very same thing, saying that "after I leave, wild wolves will come in among you. They won't spare any of the sheep. Even men from your own people will rise up and twist the truth. They want to get the believers to follow them." (Acts 20:29,30; NIRV) Both Jude and Paul draw attention to a serious problem within God's house: these "shepherds," like "wild wolves," will be a danger to the disciples by proving false to our "only Owner and Lord, Jesus Christ." They will "speak twisted things to draw away the disciples after themselves." (New World Translation) Of course, when this happens, and we become followers of men, then we no longer belong to Jehovah; and our worship becomes unacceptable to him. (Jer. 17:5; Matt. 15:9) We must be on guard against anyone who even remotely appears to want to replace Jesus as our only Owner, and the only one by whom "we must get saved." (Acts 4:12) No genuine worshiper of Jehovah would promote himself in such way, and thus fall into the snare of the Devil. —1 Tim. 3:6,7. Not having spirituality they have nothing to offer the sheep in the way of spiritual encouragement or food. They are feeders only of themselves! (Ezek. 34:2) Because the sheep lack spiritual food they cannot grow into spiritually mature men, to "have their perceptive powers trained to distinguish both right an wrong." That is why the sheep are easily influenced to submit to these wolves. —Heb. 5:12-14. These shepherds are "waterless clouds carried this way and that by winds," in that their instructions hold no moisture to refresh the sheep. Their teachings may change at any time as if influenced by the wind. When this happens they like to refer to it as "new truth," or "new light." How different from the ones who are taught by Jehovah: "My instruction will drip as the rain, My saying will trickle as the dew, As gentle rains upon grass And as copious showers upon vegetation." —Deut. 32:2. If these shepherds are who they claim they are then there ought to be fruit, in view of the season. But there is none! They are fruitless when it comes to having God's spirit. That is not at all surprising! Because of not having spirituality, the "works of the flesh" is as evident among them as it is in Christendom. This would reveal itself by the presence of the same problems as found in the world in general. Have you noticed that in your own congregation also? What, for example, is the divorce rate in your congregation? "The flesh," Paul says, "is against the spirit. . . and the spirit is against the flesh, for these are opposed to each other." When the works of the flesh abounds in our congregations, God's spirit will be missing. Even visitors to our meetings will quickly notice this. —Gal. 5:17-23. Jesus told his disciples: "I am the true grapevine, and my Father is the gardener. He cuts off every branch of mine that doesn’t produce fruit, and he prunes the branches that do bear fruit so they will produce even more. . . Yes, I am the vine; you are the branches. Those who remain in me, and I in them, will produce much fruit. For apart from me you can do nothing. Anyone who does not remain in me is thrown away like a useless branch and withers. Such branches are gathered into a pile to be burned. When you produce much fruit, you are my true disciples. This brings great glory to my Father." (John 15:1-8, NLT; Matt. 15:13) The wicked shepherds are cut off from the true grapevine for not having remained in it and produced fruit that glorifies God. Please also note the obvious, that those who are thus cut off are part of the vine until their removal. The good branches, Christ's "true disciples," do not remove themselves on account of the ones that will be removed by God, do they? Does the presence of fruitless branches prove that there is no grapevine? These wicked shepherds cannot sit still unless they get to act on their desires. They are as agitated as the wild waves of the sea: “But the wicked are like the sea that is being tossed, when it is unable to calm down, the waters of which keep tossing up seaweed and mire. There is no peace,” my God has said, “for the wicked ones.” (Isa. 57:20,21) Get on the wrong side of one of these and see how agitated he will become, and the trouble he will scheme up for you. Peter wrote: "They consider luxurious living in the daytime a pleasure. They are spots and blemishes, indulging with unrestrained delight in their deceptive teachings while feasting together with you. They have eyes full of adultery and unable to desist from sin, and they entice unsteady souls. They have a heart trained in covetousness. They are accursed children. . . they utter swelling expressions of no profit, and by the desires of the flesh and by loose habits they entice those who are just escaping from people who conduct themselves in error. While they are promising them freedom, they themselves are existing as slaves of corruption. For whoever is overcome by another is enslaved by this one." (2 Peter 2:12-19) Their wickedness cannot be hidden. Eventually it will become plain to everyone. “Here I am sending an angel ahead of you to keep you on the road and to bring you into the place that I have prepared. Watch yourself because of him and obey his voice. Do not behave rebelliously against him, for he will not pardon your transgression; because my name is within him. However, if you strictly obey his voice and really do all that I shall speak, then I shall certainly be hostile to your enemies and harass those who harass you. For my angel will go ahead of you and will indeed bring you to the Amorites and the Hittites and the Perizzites and the Canaanites, the Hivites and the Jebusites, and I shall certainly efface them." —Exodus 23:20-23. The one who was walking ahead of God's people at that time was God's appointed angel, whom even Moses obeyed. How is Jehovah leading his people today? Paul says that God "has at the end of these days spoken to us by means of a Son, whom he appointed heir of all things." It is his son who leads us. He is the head of the congregation of God's people. "Moses was certainly faithful in God’s house as a servant. His work was an illustration of the truths God would reveal later. But Christ, as the Son, is in charge of God’s entire house. And we are God’s house, if we keep our courage and remain confident in our hope in Christ." —Eph. 5:23; Heb. 3:5,6, NLT. Jude writes that the worthless shepherds within "God's house" today are like "stars with no set course for which the blackness of darkness stands reserved forever." We cannot chart our course in life by looking to them for guidance. Those who have done so in the past have been disappointed, some even experiencing shipwreck of their faith. (Consider the ones who trusted their promise, years ago, that the generation born in 1914 would not grow old in this system before the end would come; and therefore did not plan for their old age and retirement. Not a few of those who looked to them for guidance now find themselves destitute, having to work at menial jobs in their old age. —Matt. 15:14. These are the ones that make separations, animalistic men, not having spirituality. When we make distinctions, and have divisions among us, are we not "simply men," fleshly? (1 Cor. 1:10; 3:4; Gal. 5:20) Jude says that these shepherds "make separations." They have class distinction, where they view themselves as far above God's lowly and humble sheep. Yes, according to their imagination, they are the elite, the anointed nobility and upper class, who, as such are the only ones worthy to be party to the new covenant; the only ones who are truly God's sons; the only ones who can claim Jesus as their mediator; and also, the only ones worthy to celebrate the Lord's Evening Meal, as Jesus directed his disciples to do, although urging others to attend and watch. —1 Cor. 11:23-26; James 2:1, 4,5, 9. And somehow, for the most part, the sheep don't seem to mind that these men, like animals who have no conscience, "push away the lowly ones. . . and the afflicted ones of my people." (Isa. 101-3) The sheep seem satisfied with the way things are. In fact, many of them actually "love it that way." They have come to accept that "other masters besides [Jehovah] have acted as owners of [them]," although still professing to worship God. (Jer. 5:31; Isa. 26:13) They are not required to do much thinking of their own. Their mental powers are dulled. They don't really seem to care whether or not what they are being taught is in harmony with what Jehovah tells us. If they are told it is, then that is good enough for them. How is this any different from how it was in Jesus' day? —2 Cor. 3:14-17. Do all these things strike you as too extreme? Are you upset by all this? Do these present disturbing developments prove that God does not have a household? To the contrary! It should cause all of us to "raise [ourselves] erect and lift [our] heads up, because [our] deliverance is getting near." (Luke 21:28) It means that we should expect this when it happens, and be prepared mentally and emotionally. Can we avoid any suffering by making our exit and go somewhere else, as many have already done? The Scriptures repeatedly tell us to be patient, trust in Jehovah, and endure under suffering. (1 Peter 4:12-14; 5:9,10) In fact, obedience to God includes our patiently enduring any suffering. When we experience present problems within the congregations we have the opportunity to prove to Jehovah that we are obedient, even under the most trying conditions, and that our faith is genuine and we do not imitate the wicked in our midst. "The end of a matter is better than its beginning. King David was a person whom Jehovah loved very much, because of his unswerving confidence in God's righteousness and total faith in his promises. He never wavered under pressure! Even after Jehovah had anointed him to succeed Saul as king, and Saul was pursuing him to put him to death, David never considered rebelling against God by taking matters into his own hands. He patiently waited on Jehovah. —1 Sam. 24:6,7; 26:8-11. It would be presumptuous on our part to go ahead of Jehovah, becoming impatient with his patience, and go off on our own! In what way would that be presumptuous? Please consider: It was Jehovah who anointed the covering cherub and put him in the Garden of Eden, who subsequently made himself Satan the Devil. (Ezek. 28:13-17) It was Jehovah who personally chose and anointed Saul to be the first king over Israel. (1 Sam. 15:17) It was also Jehovah who tore ten tribes away from Solomon's son Rehoboam, and handed them over to Jeroboam, whom he anointed as king for them. —1 Kings 11:30,31. When Jehovah anoints an individual for a position of honor, responsibility and oversight, placing him above others for the purpose of guiding and blessing his people; and then that person becomes self-important and oppressive, as was the case with the aforementioned individuals (and is also true of wicked shepherds today), is not Jehovah to a degree responsible for subjecting his people to the resulting suffering caused by his appointment of such individuals? (Acts 20:28; Rom. 8:20-22) It would be highly arrogant on our part to go ahead of Jehovah by wanting to fix or rectify what he himself has put in place, or seek our own solution, when he has already told us that he will do so in his own way and at his own due time; and without breaking his own righteous standards. For that reason Jehovah values everyone who continues to show faith in him and his promises, and patiently waits on him to act; even though they may be suffering at present because of what he originally put in place. In this way we also show that we do not blame God for what people are doing, even when it's done in his name. Not everyone has faith like David had. Many have removed themselves from God's household and now scoff at the idea of trusting in Jehovah and waiting on him. And they ridicule those who do. Do not let them make you feel embarrassed on account of your steadfast faith in God. (2 Thess. 3:2,3; Heb. 11:1; 2 Peter 3:3,4) The only thing that should really matter to us is Jehovah’s view of things, and his estimation of his loyal ones; for the “Scripture reassures us, ‘No one who trusts God like this—heart and soul—will ever regret it.’" —Romans 10:11; The Message Bible. There are important lessons that we can learn from the letters that Jesus wrote to seven Congregations in Asia Minor. (Rev. 2:1-3:22) Five of them were reprimanded, and put on notice to repent and to make vital changes in their attitude and action. Failing to do so would result in them losing out on any reward! Jesus addressed serious faults which included false teachings (the sect of Nicolaus); tolerated immorality (that woman Jezebel); left the love they had at first and lost their enthusiasm (Ephesus, Sardis); etc., yet this did not indicate that he did not acknowledge the congregations as belonging to God, or that he was not their head. (Rev. 1:10-20) If they were to prove unrepentant, rather than telling the faithful ones to leave, he was going to do the opposite, remove the wicked from among the righteous. The righteous would stay put, within his congregation. They belonged there! —Matt. 13:40-43, 49. Although Jesus severely criticized the Sardis congregation, yet, he also took note that there were “a few names in Sardis that did not defile their outer garments.” He did not tell these few faithful individuals that they should pack up and leave that congregation, removing themselves from its members and meet on their own. They were "rendering sacred service to God" among fellow worshipers who Jesus considered spiritually "dead," within the same congregation. What can we learn from that? Jesus assures every loyal one, who endures within a corrupt and "dead" congregation, that he will be “arrayed in white outer garments” and he will “by no means blot out his name from the book of life, but I will make acknowledgment of his name before my Father and before his angels.” —Rom. 12:1,2; Rev. 3:1-6. Suppose those who Jesus reprimanded in the Sardis congregation refused to listen to him and repent, not seeing any need to change. Would that have spelled the end of the Sardis congregation? Or would it have continued to exist, although greatly reduced in numbers? Just as surely as Jesus took note of the few "worthy" ones in Sardis, so also he is able to identify the righteous ones in our congregations today. The Scriptures inform us that before God judges the world of mankind in general he will first of all judge his own people, his house. He will clearly identify within it the righteous ones and the ungodly ones. (Isa. 3:12-14; 1 Peter 4:17,18) How do you suppose he will go about doing that? How will he separate the wicked from among the righteous? Jesus explains: "The harvest is a conclusion of a system of things, and the reapers are angels. Therefore, just as the weeds are collected and burned with fire, so it will be in the conclusion of the system of things. The Son of man will send forth his angels, and they will collect out from his kingdom all things that cause stumbling and persons who are doing lawlessness, and they will pitch them into the fiery furnace. There is where [their] weeping and the gnashing of [their] teeth will be." (Matt. 13:39-42; compare Ezek. 13:9; 20:38) Aren't we glad that the judging is not up to us! What about the righteous who endured their suffering and patiently waited on Jehovah? Jesus continues: "At that time the righteous ones will shine as brightly as the sun in the kingdom of their Father. Let him that has ears listen." (Matt. 13:43; Dan. 12:3, 10) The fact of the matter couldn't be simpler: The ones who don't belong in God's kingdom will be gone, while Jehovah's loyal worshipers "will be left over in it." (Prov. 2:20-22) Partway through his ministry Jesus demonstrated how such a separation of the righteous and the unrighteous might easily happen. Remember that some of those who had followed Jesus were stumbled and "would no longer walk with him," on account of something that he said. Jesus was not overly concerned by that development, for it sifted out the ones who didn't belong. —John 6:53, 60-66. Can we expect something similar in our time, a situation that will clearly reveal the difference between someone wicked and one who God pronounces as righteous? We certainly can! The basis for our judgment is "obedience to the truth." God's Word is truth! And the truth should never stumble anyone. (John 17:17; Rom. 3:4; 1 Peter 1:22) The apostle Paul tells us that any of God's people who have become followers of "the man of lawlessness," due to his position within God's temple, and are taken in by his "unrighteous deception," will perish “as a retribution because they did not accept the love of the truth that they might be saved.” (2 Thess. 2:3,4, 9-12) Our love and obedience to God's truth will determine our permanent position within God's kingdom. Despite strong assertions to the contrary, the wicked and lawless ones within the congregations are prospering today, as long as they remain submissive to the governing body; while those loyal to Jehovah and who are disturbed by conditions they are witnessing, are dealt with harshly. There are elders who have been removed from their positions simply for opposing and speaking up because of the appointment of someone who clearly did not have scriptural qualifications, and thus could not possibly be appointed by holy spirit. They are viewed as trouble makers. (Acts 20:28) If we become followers of men we will become deaf to what God has to tell us. Many ignore God unless he were to address them by name. How will Jehovah expose the ones who are not obedient to his word of truth? Look around you! It is in progress right now, even in your own congregation, and affects all of us personally! The distinction between a righteous one and a wicked, or lawless one, is becoming ever more apparent. Obedience and submission to Jehovah and his Son, Christ Jesus, has become an issue that involves us all, whether we are aware of it or not! How we respond to present conditions really determines what sort of persons we are, and affects our relationship with God. For example, how do you feel about God's Word of truth? Do you accept its authority above the teachings of the Society's publications when these differ? (Rom. 3:4) What if a brother or sister in your congregation is accused of apostasy simply for disagreeing with a particular point as taught by the "organization," in this way also being viewed as questioning the authority of the governing body as "the faithful and discreet slave?" Will you support the decision of the elders to disfellowship such one? If you are an elder, will you share in investigating such ones as apostates, and "cast your vote against them?" (Acts 26:9-11) Many have already been unjustly expelled from their congregation because they conscientiously obeyed God's command: "Do not put your trust in nobles, nor in the son of earthling man, to whom no salvation belongs." (Psalms 146:3) If we condemn as wicked the ones who steadfastly "obey God as ruler rather than men," and who trust God's Word of truth ahead of what any men teach or command, would we not "perhaps be found fighters actually against God," and find ourselves aligning with the foretold man of lawlessness? —Isa. 5:20,21, 23; Acts 5:29; 2 Thess. 2:4. Jesus gave his disciples a "new commandment, that you love one another; just as I have loved you." Being obedient to this command identifies Christ's genuine disciples from those who merely have "a form of godly devotion but proving false to its power." This applies especially in our marriage. (John 13:34,35; 2 Tim. 3:5; 1 Peter 3:1, 7) Clearly, what sort of person we are, right now, under whatever circumstance, matters greatly, for we do not know when the time arrives for us to have to render an account for ourselves. Jesus admonishes us: "You also, keep ready, because at an hour that you do not think likely the Son of man is coming." (Luke 12:40) Without being consciously aware of it, all of us are being examined now as to whether we are righteous or wicked, sheep or goats; whether we find ourselves on Christ's right or left side when he divides the sheep from the goats upon his return; something which will already have been determined prior to his arrival. Therefore the warning to keep on the watch! —Matt. 25:31-46; Luke 12:39,40; 19:44; 2 Peter 3:11. Present developments give evidence that the marking of the righteous who are "sighing and groaning over all the detestable things that are being done in the midst of [us]," is well under way in all the congregations around the world. (Ezek. 9:4) We should expect the distinction between a righteous one and a wicked one to become even more obvious in the days to come! But don't let the present prosperity of the wicked ones discourage you, for all these things must take place in order for the many scriptures to be fulfilled. You have Jehovah's promise that he will not leave his loyal ones. (Psalms 27:10-14; 36:1-4; Matt. 3:10; 26:54) The presence of lawless ones among us should not cause confusion, neither when the time comes for their removal. Keep in mind this basic truth: No matter how bad Jehovah may still allow things to get, Jesus is still the head of the congregation; and the coming removal of the man of lawlessness, that is, the secular Society with its governing body, will not result in chaos or confusion. There will be no void to fill! Jesus will still be in charge and control of God's household, except then without any rivalry from the evil slave. Also to be kept in mind is the fact that there are slaves of his who will then be declared “faithful and discreet” for having cared for the sheep to his satisfaction, and to the extent that it was possible for them under the circumstances. (2 Thess. 1:10; 1 Peter 5:2-4) They will then be clearly identified and blessed; enabled to properly care for their responsibility of feeding the remaining members of God’s household. (Matt. 24:45-47; 25:14-30; Luke 12:42-44) This will include teaching the truth from God’s Word without the worry of being expelled as apostates, as they once were in danger of under the tyranny of the man of lawlessness. O how green the grass will then be! Then, at that time, many of God’s lost and scattered sheep will respond and return; many among them having faded away from God's house over the years, while others had been disfellowshiped unjustly. Jehovah has prepared for their return and welcomes them back. (Luke 15:17-24; Ezek. 34:11-14) However, not everyone will be enthusiastic about these developments. There will still be those who continue to cling to the now defunct man of lawlessness, viewing their continued loyalty and obedience to his teachings as their test of loyalty to God, as they had been taught under him. Their view of these former lost or expelled sheep, who now return, has not changed. They don't want to associate with such ones. (Matt. 9:10,11) They still consider anything that is contrary to what the Society had taught as apostasy. The teachings they now hear, which are entirely based on God's Word and so different from much of what they still strongly believe in, is too much for them. It hurts their ears; and so they respond as did many of Jesus' disciples: “This speech is shocking; who can listen to it?” (John 6:60) Lacking spirituality they are not able to understand the "unadulterated" truth from God's Word, over which they now stumble. In this way such ones will be removed from God's kingdom. They themselves may have a large part in deciding that. Today, Jehovah is still calling people to salvation by means of our preaching the Good News! In order for us to have God’s approval we must "obey the good news" ourselves, and not allow anyone to persuade us away from it. (Rom. 10:15,16; 2 Thess. 1:8) It is vital that we have God’s spirit in order to receive the things of the spirit, and focus on what God really requires of us. In fact, unless we have God’s holy spirit we will not understand anything at all in regards to the truth, or anything in connection with present developments among his people. (1 Cor. 2:10-14) His holy spirit also gives us the power to make any necessary adjustments in our lives that we find we need to make. Obedience to God is not optional! This is true even when at times it may prove inconvenient and goes against the sort of person we still are in the flesh. We certainly do not contribute to the situation that is resulting in present "critical times hard to deal with." We strive hard not to be the sort of person Paul speaks of in his second letter to Timothy, chapter three. Rather, we work at putting on the "new personality which was created according to God's will in true righteousness and loyalty." —Eph. 4:20-30. Obedience should never be dependent on personal preferences, what we like or don't like! When we are being mistreated we do not retaliate or "get even." We follow the example that Jesus set for us, because we know that that is what God requires of us and has his approval. "For God is pleased with you when you do what you know is right and patiently endure unfair treatment. 20 Of course, you get no credit for being patient if you are beaten for doing wrong. But if you suffer for doing good and endure it patiently, God is pleased with you. 21 For God called you to do good, even if it means suffering, just as Christ suffered for you. He is your example, and you must follow in his steps. 22 He never sinned, nor ever deceived anyone. 23 He did not retaliate when he was insulted, nor threaten revenge when he suffered. He left his case in the hands of God, who always judges fairly." —1 Peter 2:19-23, NLT. By doing these things, which are not too difficult to understand or impossible to act upon, we are obedient to God, our Creator; and we “keep ourselves in God’s love” with "everlasting life in view." —Jude 21. "Fear the true God and keep his commandments. For this is the whole obligation of man."